This entry was posted in MV Event Utility, RMMV Plugins. Not sure if this is an issue or not, but If I activate an event with 2 in a row, they pop up at the same time. If I use a wait command in between, the player can’t move while the wait command is in progress. Is there currently a way to queue them up so that if one is already showing, it will wait for it to disappear before showing the next one? Weird, it wouldn’t let me reply to your latest comment. But anyway, I just wanted to say thanks for adding it to your to-do list. I will be looking forward to it. Yeah, I noticed that in wordpress it randomly won’t let you reply to a certain comment. I dunno why haha. Scrap that, I’m rushing too much today. Too much to do, too little time haha. Version 1.2 – code change and demo is correct this time. Wow, that was fast and I didn’t even get the email for the last comment lol. Thanks. These are great additions! So strange. I ran your demo, and copy pasted your example event code into an event in my game. The pop up text works in my game exactly like it does in your demo. But then, if I delete everything but the ” I’m trying!” show text code, I get a chat bubble above my character that is going haywire. It’s refreshing every frame with no text shown, and appears to vary in height. Do I have to have every event in my map designated? I can’t think of another variable to test to get this to work. Thanks Galv. I’m not sure what you have done exactly, but I would love to have a look to find out what happened somehow. Did you make a mistake using a parallel process? hi galv. i love this plugin, though i actually havent tried using this. however i do have an idea where i can use this. so heres my question. can this plugin be used “in-battle?” for example, when i choose attack, a message will popup during the sequence. if i cast magic, a message will popup on the character like he/she is chanting the spell before casting it, and if they get attacked, the characters can have a different pop up message like “ouch” or something like that.. it would be awesome to have random dialogue during battle. so can i use this for my idea? Currently this doesn’t work in battle, but that would be a good idea. I’m adding that to my to-do list to look into it when I can one day. HI Galv. I am having a problem with that. It seems that message box appears always below character or events. And it seems that plugin doesn’t react on “-” in the pluging setting. It moves message box only below. What that could be? I dont know what you mean by ‘doesn’t react on “-” in the plugin setting’. But in the “Show Text” event command, there is the option to display on bottom, middle or top. This is very use full script. Thank you, Galv. But, how do we call timed message popups via script call. Because creating popup from $gameMessage.add() seems not working. I haven’t added a script call for this. Hello galv, I love the plugin!! I recently created a custom window skin to use with it but when it shows it has the gradient overlay. how do i get rid of that? 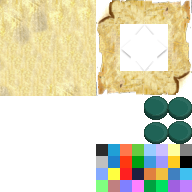 This plugin doesn’t change the default working of the windowskin apart from background opacity. Hey Galv, love the plugin. However, it seems that it lacks compatibility with a couple of other plugins I am running, specifically your Action Indicators plugin as well as Yanfly’s Region Events plugin. Ideally, I want the player to enter a certain region, a message display where they are about to warp to appearing above an event and disappears in about a second. Also, quest related icons float above certain characters. I’m not sure what you mean by “lacks compatibility”. Both my plugins are working in my demo project. Please give a description of the issue. Have you tried changing the order the plugins appear in the list? My question is , will support the YEP Message Engine Core later? No, I won’t as this isn’t the message system – it’s separate. hi galv, is there a way to stop the parallel process for event popup messages when the players “triggers an action” to the event? Thanks for the awesome plugin galv! Oh didn’t notice that. Thanks! Updated to version 1.7 – removes the message popups boxes when opening menu so they don’t appear in the background behind it. Also closes them when battle starts. Could we use Variables to specify an ID and especially Screen Coordinates? With that, the plugin could maybe work with any zoom plugin? x being the variable id to use that variable. \V and \V are an Event’s x & y Screen Coordinates saved in a parallel event. But it doesn’t work, \V[nb] isn’t considered as a number. Is there a way to make it works, not in battle? No problem, you’re the best! Can u create a video, show us step by step procedure. Unfortunately I don’t have the time at the moment to create videos. I have created a large amount of documentation as well as a demo project you can study to learn how to use it. Is there an easy way to check to see if all objectives are done and then autocomplete the parent quest? I think I may be missing something simple here. Woops! You’re right. I thought I was on that page, it led me here and I forgot to track backward. Thanks, I’ll manually set a variable for all three objectives and then check on each for if they are done. I was wondering if there was a way to query the status of the objective, but it doesn’t seem like it. Oh nice! Thanks for all the help (won’t let me comment on your second comment! Hey Galv! Great work! This is exactly what I need. Do you know if it’s possible to change the font inside the timed message pop ups like you can with Galv’s Message styles? It’s just that it’s created a bit of inconsistency with my dialogue font is all. Is there a way to show both messages at the same time preventing player movement with this plugin? I know perhaps it`s not a feature that you want to include but I can`t find any plugin to do that… yours is the more “close” to what I`m looking for. Damn i thought so ; would it be hard to incorporate it ? If I manage to copy the code that allows it from your other plugin ? It’s not hard, I just have no time to do it, sorry. First of all thanks for this plugins useful but the character é à and maybe other display a ?. Do you have a solution for fix it? Usually this is an issue with the font not having those characters. Do those characters display normally in normal show text message event command? I have to try others. Alone the plugin works perfectly but the windows that he displays through the plugin Quest Log they have the problem. It remains for me to find what in the plugin. Is this someone else’s quest plugin? Or mine? It’s yours but i find the solution, it’s the file txt must be encode in UTF-8 not in ANSI. Hello Galv! Thank you for this nice and easy using plugin. 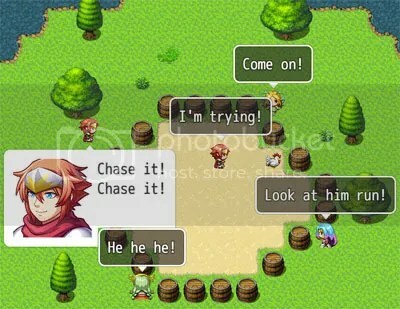 But I want to use this plugin to show a chatting between NPCs while player still can move. for now it seems that this plugin can repeat one message only. I think it’ll be wonderful if can repeat a number of messages. and when I use message styles showing message bubble or normal message window ,it sometimes being hidden by a popup message bubble nearby. so it will be very helpful if can force to clear a popup on a certain event/position. You’ll need to use parallel process. There is only a way to force clearing all, not certain ones. – make the messages align on some side. For now I have to do: New Skill acquired. But x|y format are for top left corner, it would be nice to have those as offset only and declare the align to left/right/top/bottom. If another popup message comes, and a previous popup message is not expired, then push the previous message up to make room for the new message. I’m testing my game on mobile and any time it will serch for a window immage it says that it’s not found. 1. The window image is not on the mobile device files. Hi Galv, do you have an update for this plugin for rmmv 1.6.0? No, they reverted back to 1.5.2 beta so I am not updating my plugins for 1.6.0 which seemed to cause a lot of issues. I would like the popup to be centered on the screen. A manual X, Y input means that if the screen resolution was to change, I would have to go through over 1000 Show Texts and change each one. Also, since the text seems to be written Left Justified, it means I have to manually account for the length of the text. Is there an easy way to handle these issues besides extending the script myself? Yea I’ve done that on the official forums. Haven’t received a reply for a few days. I imagine you hear it enough, but one more fan acknowledging you from outside the shadows cant possibly hurt. Thank you for the kind words. I’m glad my plugins have helped you and wish you good luck with your projects! Hello! Thank you very much for your production! I want to ask! Can this plug-in be used for commercial production? What are the rules and regulations for use? Yes, this is free to use for all project. Please just include me in your credits as “Galv”. Modify it however you like for your own project.